The widespread of interactive ebooks coincided with me getting into publishing studies: I couldn’t be any happier to live in this wonderful age. I still remember my disbelief in 2009, when I first heard about hypertext and interconnected books. My professor seemed to be telling an incredible tale about a future where all quotes, references, and mentions will be easily searchable in all works of literature. Also: where we can create our own story within the book, breaking up the linear order of reading. Even if we don’t count coloring books, pop-ups and all kinds of hands-on books for kids, traditional printed books that allow the readers to interact or change the story some way or another have been around for a while now. Do any of you remember the gamebooks that came with dice and you had to decide where to go next, whom to fight and whom to avoid? It was just a question of time that traditional linear storytelling gets combined with the reader’s desire to get involved and to get an enhanced story, that “steps off” the pages. 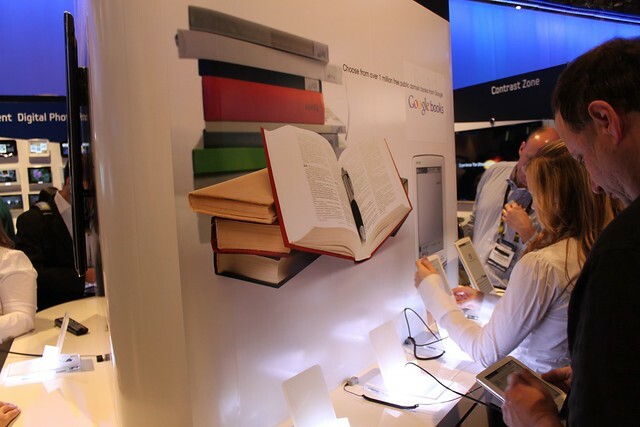 Although the first Kindles coming to the market didn’t look anything like the future (being heavy, black and very-very basic), interactive books and interactive ebooks conquered the market nevertheless. When interactive ebooks first emerged, several companies tried to stick the label “interactive” onto anything they published. Let’s be clear here: hyperlinks, clickable endnotes and linking outside resources should be basic features of every ebook. Enhanced ebooks and interactive ebooks should include some extras that add to the reading experience. False again. Interactive ebooks come in two major forms: apps and enhanced ebooks. For apps, you do need a tablet or a phone. But luckily for all of us, the two traditional ebook formats have received an update a couple of years ago. Both the widely accepted epub format (used by Google, iBooks and Kobo among others) and Amazon’s mobi got a facelift. 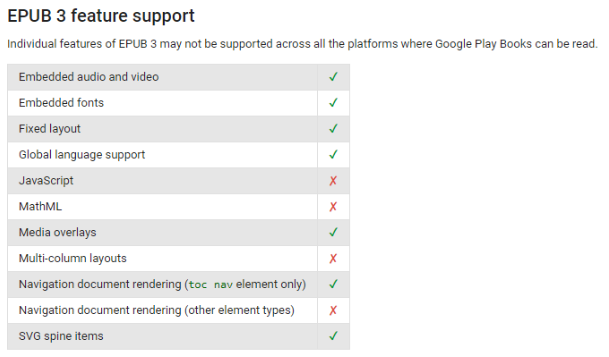 The new epub3 and kf8 were designed with HTML5 and CSS3 standards in mind. Books made this way are called enhanced ebooks, and offer a significant level of customizability. This includes easy to enlarge pictures, embedded video and audio, and excellent accessibility. 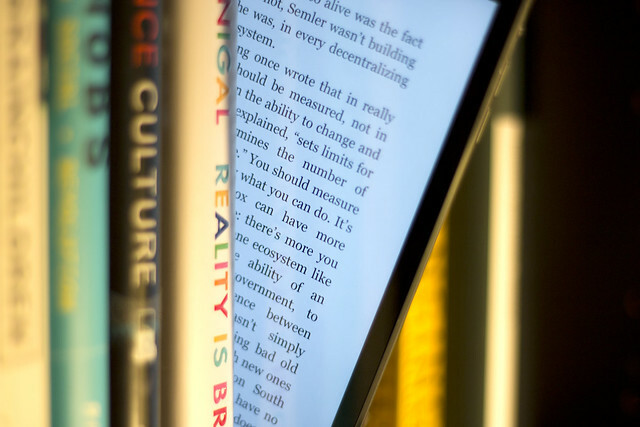 Epub3 and kf8 could also be used for creating books needing a fixed layout (such as children’s books or scientific books), comics and textbooks. In the meantime, interactive ebooks flooded the book and app stores of iPads and Android devices. These books are the love child of traditional books and cutting-edge technology. Read more at the bottom of this page about how to publish enhanced ebooks. No, they are actually for all kinds of people. There are, obviously, numerous interactive kids books, targeting pre-schoolers or even toddlers, but there is also interactive adult fiction and nonfiction. The possibilities are endless: starting from Hallmark’s interactive story buddy, which comes with a soft raccoon that starts talking if the child is reading out loud through learning Chinese characters to the animated covers of The New Yorker. Studies show that interactive textbooks facilitate learning; so don’t be afraid to let your child read on the iPad before the GCSE – or when learning about blood cell morphology. Unlike television, interactive books rely heavily on language and increase vocabulary and reasoning abilities. One of our favorites for kids (from our catalog) is Two Worlds, One Child’s Heart by Vered Kaminsky. This book does not only come with read-aloud and ambient music, but all drawings are animated. Another one is Sparklify the Earth by Sandra Rose Gunn: it comes with embedded videos and non-linear reading order. There is no shortage of interactive fiction for adults (IF) either. Apart from classics getting a chance to shine in a new light (have you seen this Sherlock app that lets you see everything through Watson’s eye? ), there are plenty of writers and designers who create new content worth reading for tablets and ereaders. Original fiction includes Device 6 designed for iPads which require the readers to find the clues and solve the puzzles to go to the next chapter. From the more recent ones see the Burnt Matches interactive poetry. Well, this one is kind of true. If you decide to create your interactive ebook as an app, you definitely need to be able to code – or hire somebody to do it for you. Luckily for all of us with a brain made for words, both iBooks (iBooks Author) and Kindle (Kindle Textbook Creator) have their interactive ebook editor. 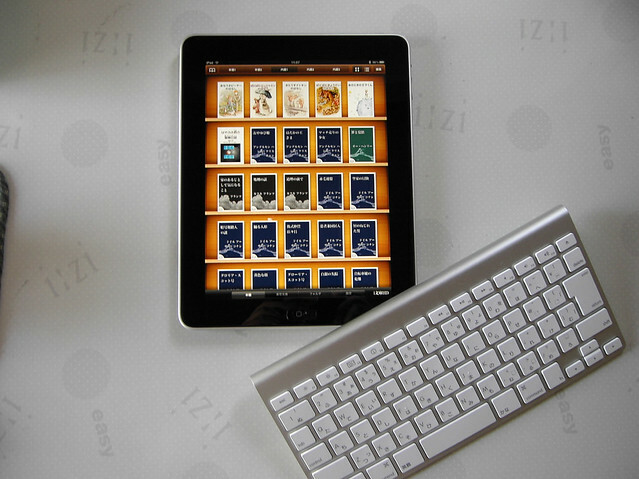 You can use those to create your interactive and enhanced ebooks easily. Additionally, countless smaller companies have designed apps and widgets to make your life as an author or publisher easier. A thorough guide is available here. Well, who knows? Although the significant breakthrough in interactive fiction never happened – partly because computer games became increasingly story-centered -, IF has a strong fan-base pushing the boundaries between literature and games. Let us also not forget about the interactive non-fiction (such as textbooks) which is thriving; and other formats emerging around the noughties destined to fade away but which have just recently resurfaced: including audiobooks and podcasts. Interactive ebooks (enhanced ebooks) can be read on all kinds of devices. Currently, all major stores accept epub3 books, but they offer different functionality and support. Let’s see how the major stores react to fixed-layout, interactive and enhanced ebooks, and what are the most popular apps for reading them. The iBooks app accepts fixed-layout ebooks, enhanced ebooks, and interactive ebooks natively and supports their full functionality. iBooks has no problem with animation or elements that require user interaction. Interactive and enhanced ebooks work well on all Apple devices. Google Play Books accepts fixed-layout ebooks. If you upload a fixed-layout epub to the Google Play Partner Centre, Google will ask you to add yourself as a quality reviewer and check if everything is OK. They also accept interactive ebooks but don’t support their full functionality. To enjoy the full functionality of interactive ebooks bought on Google Play, open the book with Adobe Digital Editions (version 4.5). You can do this with DRM protected books as well. Read here how to do this. Amazon only accepts fixed-layout content in the following categories: children’s books, comics, and extremely complex textbooks. In theory, they also take interactive and enhanced ebooks. On Amazon, the KF8 works as a “substitute” of epub3. But here is the catch: how to convert epub3 to KF8? In theory, KindleGen should be able to do it for you. Although it is possible to turn the epub3 into a working KF8, the solution isn’t straightforward and requires coding knowledge. It might work OK with fixed-layout epubs, but it fails when it comes to enhanced ebooks. (I’ve only had decent success using KindleGen to convert fixed-layout epub3’s containing vertical Japanese script.) If you’d like to distribute your interactive ebook on Amazon, you better start from scratch. The Kobo app (and many traditional Kobo devices) accepts and displays fixed-layout epubs correctly. To make sure that your fixed-layout book displays well on Kobo, do the following: set the rendition:spread property in the .opf file to auto or landscape. The Kobo app and basic Kobo readers cannot deal with enhanced ebooks. Although interactive ebooks are not compatible with traditional Kobo devices, they work on Kobo tablets. Additionally, you can access and read your interactive ebooks, and enhanced ebooks (and other epub3 files) bought in the Kobo store using Adobe Digital Editions (version 4.5 and above). You can do this with DRM protected books as well. Read here how to do this. Scribd accepts epub3 and works well with fixed-layout epubs. Unfortunately, the Scribd app is unable to play audio, video or animation.